Our arrival in Le Wantzenau at the Relais de la Poste is assisted by Moira our Irish GPS who leads us on different routes to the same destination on regular occasions. We are unprepared for the exceptional food, service and accommodation that awaits us. The Michelin starred restaurant and crew and the hotel staff provide the makings of a faultless weekend combined with exciting and innovative food. The spring menu is introduced in the restaurant on the weekend we are there and we are lucky to be one of the first to try it. The philosophy of the restaurant is around fresh seasonal produce sourced from local providores. Ms Caroline Van Meanen, the hotel's owner meets us and tells us about some interesting history of the hotel. 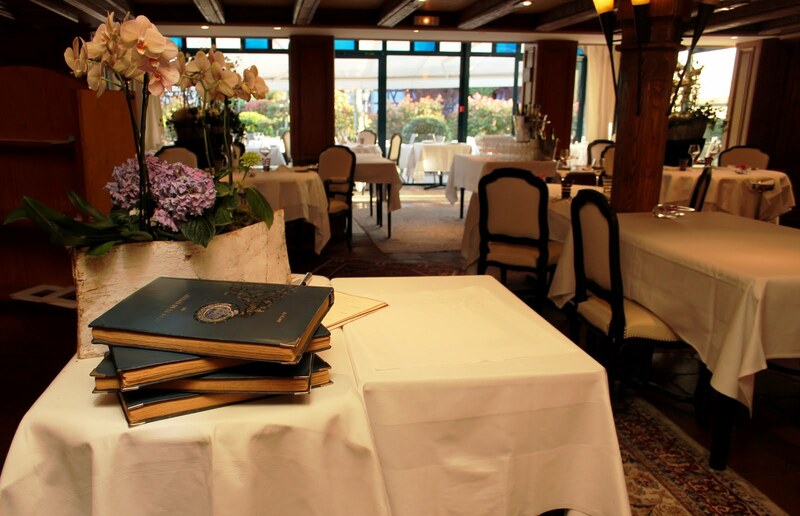 She is justly proud of the achievements of her staff and in particular chef Laurent Hueget and sommelier Herve Schmitt. The building started out as a 16th century coach stop then converted to a farmhouse and now serves up award winning gastronomic creations. Our meal on the first night consisted of 6 courses and matching wines and the second night we opted for a more petite menu, but equally delicious. The food was sensational all round and service was suitably matched. The chef provided the recipe for the delicious and unique main course and the detail will be published in the Canberra Times and posted on my blog in early May. ﻿The guest rooms are decorated in a romantic baroque style with all modern luxuries taken care of. While in Le Wantzenau we take advantage of being in the north of Alsace and crossed to Germany to spend a lovely day in picturesque Baden Baden, a Roman spa town. On our way back home on the Sunday we call into the Spring brocante market in Hindisheim where we spy a stall holder selling a collectible enamel onion holder (as you do). We bargain with the gentleman as his price is too high and he refuses to budge, so we walk away. Lo and behold a few weeks later he is at another market in Epfig and there is the onion holder again. We bargain down again slightly and he again refuses to budge, so we walk away. Will keep you posted on that one, we are sure to meet up again. A and M our neighbours in Chatenois kindly arrange a visit for us to the Nicole Legoll Confiture workshop and factory where she produces confiture in the traditional French way. Madame Legoll shares her recipes and methods with us, and her son Vincente translates. We are amazed at their generosity and friendliness, and of everyone we have met along the way. We head south to Beaune in Burgundy again for a confiture workshop for a couple of days, then on to St Remy in Provence for 8 days. We had pre booked a provincial guest house come hotel, called Canto de Cigalo in the foothills of the Alpilles, the massive limestone mountain range. The hotel is a gorgeous double storey cream building with blue shutters and terracotta tile roof. Inside the breezy white sheer curtains and the milky white painted rooms lend a feeling of serenity and calm that is heavenly to come back to after a day trekking the Alpilles. The communal dining areas allow the guests to mingle and we had some great chats over dinner, wine and breakfast with people from around the globe. While in St Remy we made a number of day trips to the Saint Paul de Mausole, this consisted of a church and buildings that housed what was then, mental asylum where Vincent Van Gogh spent some time. He completed and started many of his most famous works there and in the surrounding areas of St Remy. The grounds and building are extremely beautiful and poignant. Vincent's bedroom is on the top floor of the building overlooking the lavender garden. The background wallpaper of my blog is a detail from a photograph taken on a gate in the building. The site is now a combined museum and gallery and houses an artist workshop for people with intellectual disability. Many of their works are available for sale there. Within a 5 to 10 minute walk from our hotel, the Glanum, an archaeological site is situated. This was a complete surprise to us and we had no prior knowledge of its existence. It is now an unearthed ancient city from the 6th century BC, where the Gauls settled then subsequently the Greeks in 2nd century BC, then the Romans in 63BC. The city could not resist the Alamannic invasions of 260AD when the town was abandoned by its inhabitants. ﻿In the 16th century the site was known as Les Antiques and was visited by learned men and the triumphal arch and the mausoleum were the only bits visible then. With an increasing number of objects discovered in the vicinity, in 1921 systematic archaeological digs were carried out. Now the city has been unearthed and you can walk all through and around it. Two openings in the ground allow the dromos and the trapezoid square from the earlier Hellenic period to be seen. We were able to spend a full day wondering around in the gorgeous sunshine with the stunning and majestic backdrop of the Alpilles towering around and beyond us. We spent a day in the Camargue area among flocks of flamingos and enjoyed a gourmet picnic during sunset on the shores of the Camargue. A visit to Saintes-Maries de la Mer and Aigues-Mortes led us on the trail of fleur de sel which brought us into another adventure. The massive mountains of salt sitting alongside the ancient city walls of Aigues-Mortes flanked by the marshy salt farms are a sight to see and this has piqued my curiosity and led me to explore the ancient methods further. France has an interesting string of events brought about by the wealth of salt and helped on by good old Napoleon. ﻿We were also unprepared for the sight of the precarious and ancient town of Les Baux in Provence perched atop its limestone mountain, not to mention scaling the stairs with a still not so good leg. But this proved pretty amazing, with views that stretched to the horizon from the chateau. The beers we had on that hot day were surely worth waiting for. On our way out of St Remy we had been told on one of our night time chats with hotel guests to visit the Fontaine de Vaucluse, we did and it was well worth it - a natural spring in the granite mountain rock that has fed this paper mill town since the 14th century. The water is crystal clear turquoise that feeds into the Sorgue River. Another site worth a visit if in the area. If in St Remy and hungry, La Cantina woodfired pizza – is very good! fresh ingredients and great friendly service with reasonable prices. 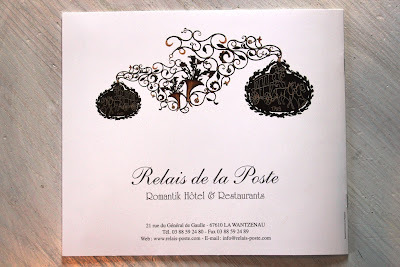 I can't leave St Remy without letting you know about an interesting incident that occurred when we ate dinner at a restaurant/bistro called L'Industrie. The food was slightly above average, service with some attitude, which is tolerable but not pleasant. However, when I ordered my white coffee, I received a loud lecture by the waiter that coffee with cream, even though I had ordered milk, was bad for my liver and he refused to serve it. At first I thought he was kidding, until I realised he was serious and losing it. He delivered the coffee and mine was black, so we didn't leave a tip and although I mentioned it and he ignored me. I think they deserve a "bong". We headed to Arles for a day to see some of the Roman sites, and we were amazed at the size of the Amphitheatre and the underground market which you can walk through, although a little creepy. The harbour is pretty beautiful too. We had a day at Isle sur le Sorgue to see the market. Pretty town - and great food market and music there. The coffee in France is particularly poor generally, and it is beyond my understanding why a country that is so food conscious cannot do good coffee. I must admit that Australia's excellent coffee culture leaves France for dead. I have heard about a good coffee shop in Paris that is on my list for a visit when we go back there in a few weeks, will keep you posted on that one too. We had our niece and her husband and baby from Copenhagen stay for 4 nights over Easter and we celebrated in traditional style by eating lamb cooked in the outdoor woodfired oven on Easter Sunday. We also ate our sweet brioche of Easter lamb. The weather was gorgeous with crisp, blue sky days and cool nights. We visited a great market and bought some very old metal chocolate moulds and the buy of the day – 2 antique Christmas tree stands. We also picnicked in the forest, and rode our bikes to a neighbouring old village where we had well earned ice cream and beers. Steve and Will rode their bikes to the foot of the mountains and walked up to Ramstein chateau, got caught in a massive hail storm and arrived home wet but very invigorated! Off to Belgium and Holland this week, staying in a farm gite in a small rural village. We will travel into the Liege markets, reputed to be some of the world’s best. We will also be meeting up with our Dutch relatives too. Will keep you posted on both. Back in Chatenois after spending some relaxing days at a rural gite in Belgium in a little village, Ramelot. The gite was a converted stone barn that was situated among the dairy cows who came up to drink from a trough right outside the bedroom window early each morning. Belgium appears to be one huge mass of canola at the moment and I'm sure would be a glow of gold if viewed from space. The colour is even more spectacular when mixed between the verdant greens of the pastures and forests. What we found peculiar to Belgium was the lack of a centre ville and boulangeries in each village we came to, whereas in France, no matter how small the village - it is self contained. On advice and direction of Alain our Belgian gite host we set out to find our nearest boulangerie. But alas, even with Moira's help, our Irish GPS friend, it still eluded us. So mon ami we had to resort to heating some long life baguettes! Although this meant we explored some beautiful country roads that were no more than farm tracks and took us through some picturesque farms that housed some very contented looking animals. An afternoon spent leisurely exploring the nearby Modave Chateau was spectacular and well worth the visit. Our time spent in Holland meeting with the relos was wonderful after not having seen them for 3 years. Our stay coincided with the celebration of Queen Juliana's birthday and we found ourselves in the centre of street parades and marching bands. This forced us to sit and sup on cakes, [flee], and coffee at a street cafe, a popular Dutch past time, while we watched the parades. Sadly at the end of our stay we said goodbye with promises of Australia to be our next rendezvous. On our way back through Belgium we called in to Bastogne, which was the site of the battle of the bulge in WW2. This was a greusome reminder of how vulnerable European countries were at the mercy of power and greed. It also hit home, that many people who were impacted by WW1 were also again victims of WW2. The museum displays of kitchens and household items and the recorded accounts of survivors were particularly moving. Back in Chatenois with considerably cooler weather, we plan the next stage - which includes the shipping back home of many brocante items collected on our travels, a trip to Switzerland, OK then - another market and some exploration on Munster cheese. Headed down to Munster Valley yesterday to locate some Munster cheese. We had an appointment with a cheesemaker but our GPS let us down and couldn't find the town. So we searched for a producer nearby who would let us in to see the production, but most of them don't do cheesemaking on Fridays we were told. We visited the new Maison du Fromage which demonstrates the old style production techniques and we toured one other large scale producer who provided a cheese degustation. OMG the smell of the cheese followed us yesterday everywhere we went. We could even smell it in the car, which had nothing to do with the tonne of Munster we bought and then got 2 for 1 deals! as a consequence our neighbours here will be eating Munster for some time to come. We had Munster tart for dinner. Our fridge has a very particular old socks aroma now, which is funny because that's how we arrived in Chatenois, not realising we were being greeted by the Munster in the fridge. We thought it was "off" and put it in the bin. So we will leave here with our Munster in the fridge. After a not so early start this morning, we took off for the brocante market in Innenheim only to find the stallholders setting up for tomorrow. We were completely confused with the dates, not unusual for us as we're in a pretty relaxed state. We took advantage of the fact that we were now 30km north, so we decided to visit Mont Saint Odile, a celtic holy site surrounded by a Pagan stone wall 10km long which seems to have a lot of mystery around its history. The site been a convent since 7th century and is built 600 metres up on the Hohenbourg rock. Pilgrims have been attracted to this site since the middle ages, based on the miracles recorded around the Saint's sepulchre. Apart from its religious significance its a beautiful and peaceful place with views for kilometres. The weather was a beatiful 25c with perfectly blue sky and no breeze. It's just about time for Munster cheese, biccies and riesling- it's after 6.00pm. Need sustenance for an early start for tomorrow's market. Our market haul was not so fruitful, I think we've either bought Alsace up or it's getting to the end of the market season. The best buys seem to be early in spring. We had dinner with our neighbours on Sunday night - cooked up a not so Aussie feast, but had good fun. Magali brought savoury Madeleines and we ate prawns in Thai dipping sauce, marinated Lamb in the woodfire with squashed potoatoes and crunchy noodle salad and a true blue pavlova washed down with lots of good wine and finished with Eau de Vie de Poire William. They stumbled home at 2.30am ish and we slept in with big headaches - but Antoine, we were thinking of you when we heard you drive off to work the next morning. Our tea chests were picked up for shipping back home on Tuesday, we said au revoir to them and posted off some more things by airmail. We've been busy this week running around and catching up on things we've been meaning to see. We cruised the ancient market in Selestat and bought some souveneirs, managed to catch the Maison du Pain open in between their siestas, and checked out the history of breadmaking. The Maison du Pain is an old boulangerie with some of the internals dating back to 1500s. The symbols in the carvings and the mural in the shop area are bredzel shaped and amazingly beautiful. The old ceramic kougelhofs moulds and the cake pans, still smelled of flour. We visited the Maginot Line in Marckolsheim and checked out the original bunker, the trois Chateaux trail, took our Munster cheese into the vineyards for early morning photos, all this with the most beautiful sparkling blue days. We are told France is in a drought, but compared to Australian drought it looks absolutely verdant. Our thoughts have turned to leaving Chatenois and we have spent time planning our next adventures. Next stop Paris.....till then au revoir. After cleaning, packing up and preparing the house, we leave Chatenois feeling a bit heavy hearted, but feel very grateful towards Magali and Estebahn for giving us such a warm send off at Selestat station. We had a lovely few days in Paris, the weather was exceptionally warm and sunny and we spent a fair bit of time in Rue de Montergueil, the street where many well known chefs have moved to open their own establishments, most of which are very high quality. We were drawn to many of the restaurant suppliers and gourmet food suppliers in the area that have been there for hundreds of years. Mora and G. Detou.....couldn't get enough! We had a great night at L'Escargot and enjoyed the exceptional Bourgogne snails. We bought some supplies at the restaurant suppliers just before jumping on the train to cross the channel to London, misjuding time it would take to get through customs and unfortunately missed the train. We were able to get on the next one thankfully, and arrived in London a little later than expected to be greeted with news that Obama had arrived here too and the Icelandic ash cloud. Interesting......will keep you posted. Will check it out from the London Eye today! Caught up in the Obama visit we were trapped on the top of the Harrods open topped bus, in a traffic right in front of Westminster Cathedral. Steve and I were the only 2 on the bus and felt like VIP's with crowds lining the streets held back by police cordons. I started to get into the swing of it all when I realised we were being watched very carefully by special armed police with guns and binoculars stationed at the high points and actually had us surrounded. Very eerie really. We moved very slowly through the crowds being careful when taking photos and aiming our lenses. Obama must have been very closeby although we didn't actually get to see him. We made our way very slowly to the London Eye where we were taken to the front of the queue and promptly showed into a capsule. We had been given a special offer for 2 rotations of the Eye and surveyed about our experience. Again another windfall comes our way. Very funny - spectacular views. Watched the Obama circus from a birds eye view. After that we made our way to Harrods to the oyster bar and sampled a dozen of their best oysters and a bottle of champagne. Both of these were exquisite and I highly recommend this if you have some spare time to just sit at the bar and take in the opulence of the decor alone and enjoy. Decadence at its best! The following day, we were feeling pretty tired, so decided to let someone else do the work and we jumped on a bus trip to the Cotswalds and Blenheim Castle, home of the great Winston Churchill. Our final day of our holiday was spent touring the Victoria and Albert Museum at a leisurely pace. The glass exhibit was spectacularly beautiful and incredibly photogenic. The scenery and castle were magnificent but the tour operator gets a total thumbs down - Golden Tours, not too many happy customers that day. The good thing about it was we were all joined in our opinion which made for some interesting conversations. Home now - thinking of Chatenois and all the plethora of places we went, things we did. and the fabulous people we met along the way. What an amazing experience! What's next? ......stay tuned.